no YOURE awesome! lovely card, I like the stamped flowers in the background! Beautiful!! 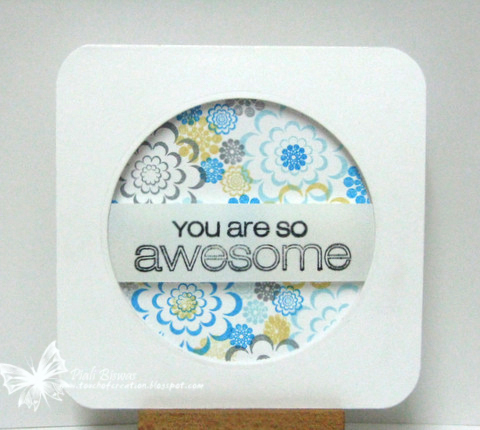 Love the stamped background and the center strip! It is Awesome! this is really pretty!! love the circle of blue flowers peeking out of your awesome window! Brilliant design, my friend! So glad that you join the fun with us at Runway Inspired Challenge! This is gorgeous Piali!! Love the multiple blooms and colours! This card is bursting with life!! Great design for both challenges Piali! love the circle cutout and pretty floral stampings behind! 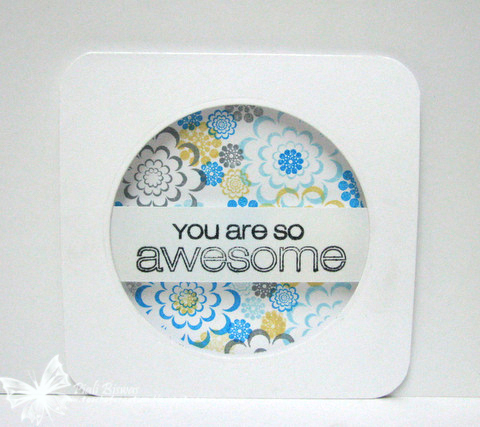 Such pretty stamp layering and circle cut out!Thanks so much for joining us over at the Runway Challenge! Did you make this card for yourself?? 'cause your really awesome!